BC SPCA > FAQs > Pet care & behaviour > My dog keeps pulling on his/her leash, what should I do? My dog keeps pulling on his/her leash, what should I do? When your dog pulls on his leash it can be frustrating and put both you and your dog at risk. Your dog might hurt his neck from pulling or you might slip and fall. A gentle and easy way to stop a dog from pulling is to use a special no-pull harness designed to prevent pulling. There are different types of no-pull harnesses on the market. Find one that works for you and your dog. Train your dog not to pull on his leash. Dogs and puppies have to learn that it’s more rewarding for them if they don’t pull. A qualified, reward-based trainer can teach you how to train him not to pull and make it fun. 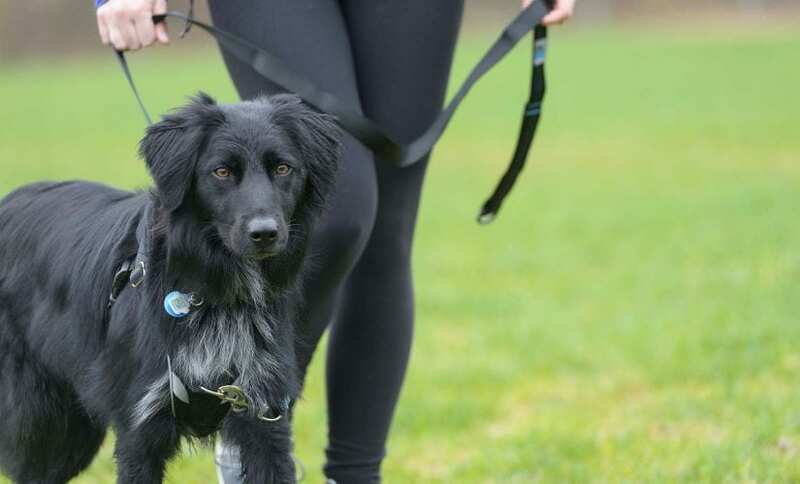 Did you know the BC SPCA has standards for humane dog training? We can help you find a good dog trainer through our AnimalKind program. Read the BC SPCA’s position on animal training. When a dog is wearing a prong collar and pulls, the sharp metal or plastic prongs stick into his neck, which causes pain. To make the pain stop the dog has to stop pulling. Prong collars cause fear and anxiety, and may make your dog afraid of you.